Delhi Capitals and Sunrisers Hyderabad will play the 16th match of Indian Premier League - IPL 2019 on 4 Apil 2019 at Feroz Shah Kotla Ground, Delhi. As far as the weather is concerned it will be below 32°C during match hours with dew later in the match. This will be the third match at Feroz Shah Kotla, Delhi in IPL 2019. In the last match, played here between Delhi Capitals and Kolkata Knight Riders it behaved as typical Feroz Shah Kotla’s pitch, slowed through the match. The match will be not a high scoring but it will be a perfect battle between bowlers and batsmen on this pitch. Delhi Capitals are 5th on the points table with 2 win and 2 losses in 4 matches. On the other hand, Sunrisers Hyderabad are 3rd on the points table with 2 wins and 1 loss. Looking at the Delhi's pitch Amit Mishra will be back and replacing Avesh Khan and also Axar Patel will be replacing Harshal Patel. Sunrisers Hyderabad will be again led by Kane Williamson which would send Deepak Hooda back to the bench. While David Warner is fit to play after his injured finger during RCB match. Sunrisers Hyderabad (SRH) and Delhi Capitals have played 12 matches head to head against each other in Indian Premier League (IPL). Out of the 12 matches between them, Sunrisers Hyderabad have won 8 matches and Delhi Capitals have won 4 matches. In last 6 matches, Delhi Capitals have won 6 matches and Sunrisers Hyderabad have won 3 matches. In IPL 2018 both matches were won by Sunrisers Hyderabad. 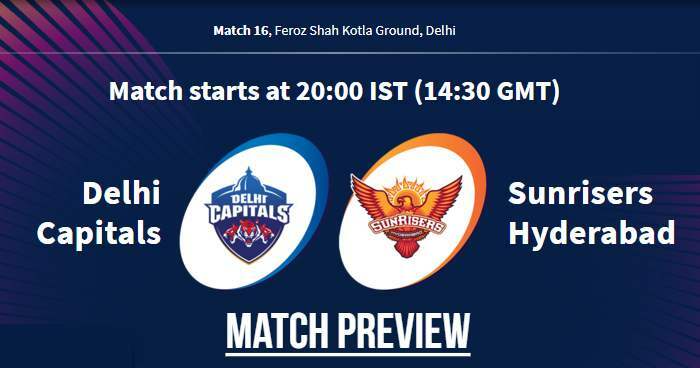 At Feroz Shah Kotla, Delhi; Delhi Capitals and Sunrisers Hyderabad have played 4 matches out of which 3 matches are won by Sunrisers Hyderabad and only one latch won by Delhi Capitals. Sunrisers Hyderabad have won only one of their last six matches outside Hyderabad. Sunrisers Hyderabad are the only team to possess an overall scoring rate in excess of ten runs this season; their overall scoring rate this season is 10.38. 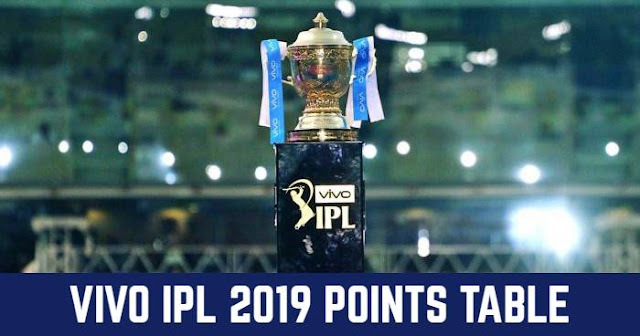 Sunrisers Hyderabad are yet to lose a wicket in the first six overs in IPL 2019. The earliest that Sunrisers Hyderabad have lost their first wicket this season is over number 9.4. Playing XI for DC: Shreyas Iyer (c), Prithvi Shaw, Shikhar Dhawan, Rishabh Pant (wk), Colin Ingram, Rahul Tewatai, Chris Morris, Axar Patel, Sandeep Lamichhane, Kagiso Rabada, Ishant Sharma. Playing XI for SRH: Bhuvneshwar Kumar (c), David Warner, Jonny Bairstow, Vijay Shankar, Manish Pandey, Yusuf Pathan, Mohammad Nabi, Deepak Hooda, Rashid Khan, Siddarth Kaul, Sandeep Sharma.